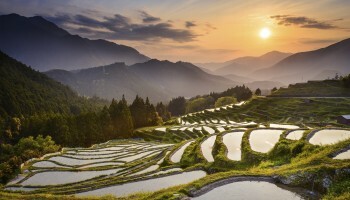 Known for its thatched-roofed mountain villages, charming merchant towns and centuries-old traditions, Gifu prefecture is a perfect cultural pitstop on your way between Kanto and Kansai. In summer, traditional cormorant fishing takes place from lantern-lit boats along the Nagaragawa, while in the winter the old farmhouses of Shirakawa-go look like a Christmassy gingerbread village. 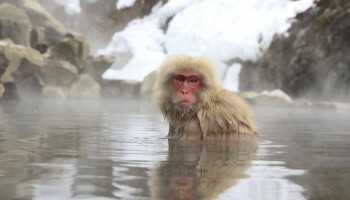 Hot spring resorts run along the base of the Japan Alps where there’s hiking in the summer and skiing in the winter; plus a number of entertaining festivals throughout the year. The village of Shirakawa-go looks pretty enough to eat. 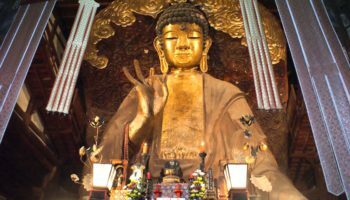 Gifu City is the unassuming prefectural capital but it makes a good starting point for exploring the region in a loop. From May 11 through Oct. 15, you can witness nighttime ukai or cormorant fishing on the Nagara river. Experience the 1,300-year-old tradition from a wooden boat, as fishermen in the light of roaring fire lanterns skillfully guide the cormorant birds to catch fish beneath the water. Stroll the picturesque streets of Furukawa. 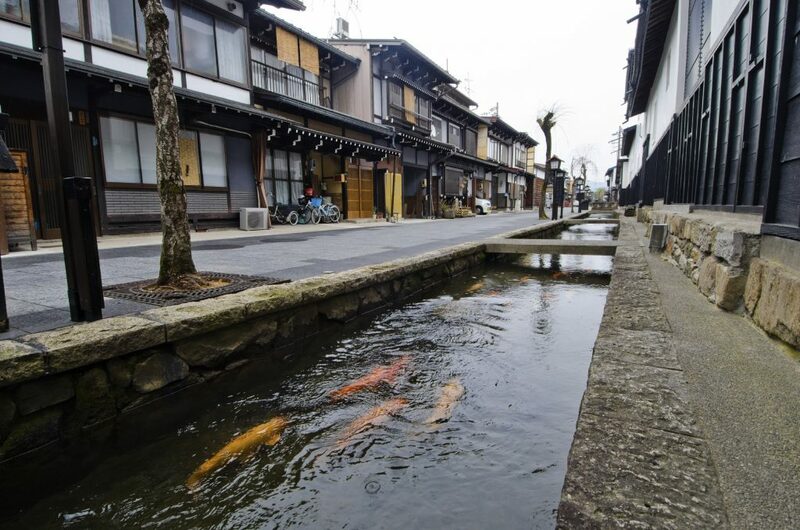 From Gifu you can make the day trip to Furukawa, a nicely preserved merchant town with a carp-filled central canal, before traveling north to the historic castle town of Gujo-Hachiman, known as a production center for the deceptively lifelike plastic foods you see outside of Japanese restaurants. You can view the models and even have a go at making one yourself. If you’re there in August, and have a lot of stamina, join in the Gujo-Odori, a 32 day dance festival which ends in four days of all-night dancing. 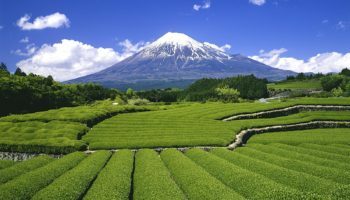 Head further up to reach popular Takayama, a picturesque mountain village with a lovely old town lined with sake (rice wine) breweries. Nearby, the Hida Folk Village is an open-air museum of traditional Edo houses preserved from across the Hida region. Pick up a sarubobo baby monkey charm for luck. 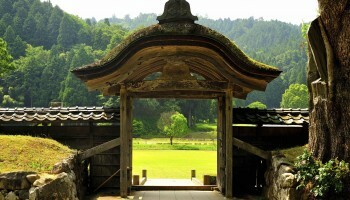 Northwest of Takayama are the UNESCO World Heritage sites of Shirakawa-go and Gokayama (in Toyama prefecture). 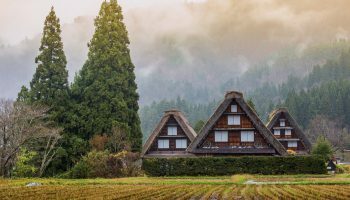 Nestled in a verdant valley, these collections of old farmhouses are known as gassho-zukuri for their thatched-roofs which look like two hands in prayer. 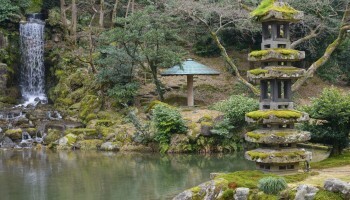 Stay overnight in one of the houses to imagine what Edo mountain life might have been like. From Shirakawa-go, head east to the Shinhotaka ropeway, one of the longest in Asia. Double-decker gondolas take you to the top of Mount Hotaka (also known as Hotakadake) which offers incredible panoramic views as the “Leader of the Northern Alps”. 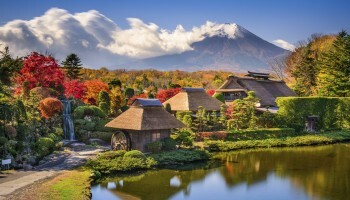 It’s a popular trip during autumn when you can stay to watch the sunset over the mountains. 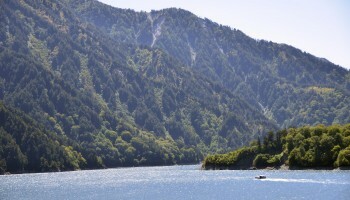 Get ready for your pants to be charmed right off at this picturesque mountain town.